Chhavi Rajawat holds an MBA, rides horses in her free time and flies to New York to speak at conventions of the United Nations. A decade ago, she gave up a career in the private sector and became the sarpanch of her ancestral village Soda in Rajasthan's Tonk district. Passionate about grassroots governance, Chhavi neither files nomination for successive Vidhan Sabha elections nor is she eyeing a Lok Sabha ticket. Why haven't either of the two big national parties been able to woo the Lady Shri Ram College graduate who has headed a non-partisan panchayat system in the village since 2010? 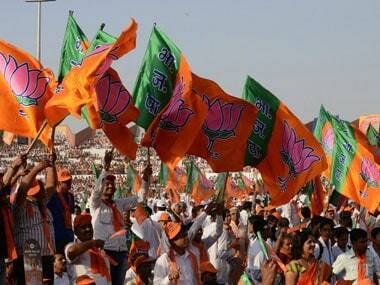 In the seven Lok Sabha elections held between 1952 and 1989, merely six women contested in Rajasthan. The highest number of female candidates, 31, were fielded in 2009. In the 2013 Vidhan Sabha elections, 28 women were given tickets, and in 2019, the figure dropped to 21. 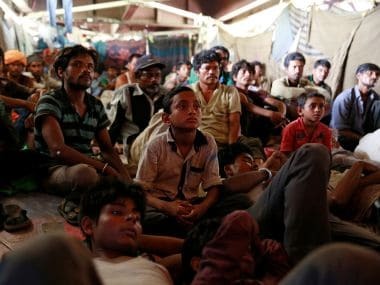 Chhavi told Firstpost that the existing feudal hierarchies in mainstream politics, which are designed around ideologies and personalities, can feel threatened by a basic, skill-driven approach to grassroots governance. "Voices on the ground must be heard. Be it the construction of farm ponds in a state that is still dependent on rain-fed architecture, or the conversion of faeces from dry pit toilets into manure, projects need to be closely monitored," she explained, adding that the vision must be carried forward at the local level, which she said is the point of a political leadership. Parties prefer to give tickets to leaders who have larger-than-life personalities in their respective areas, or to those with money or dynastic history. Another reason that deters parties from fielding women as candidates is the lack of acceptance of a woman's authority among party cadres and the lack of faith voters might have in her. 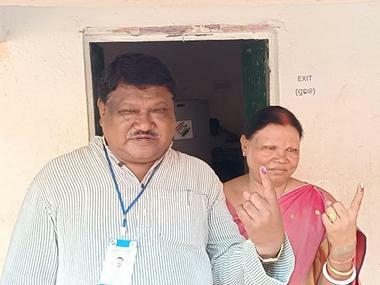 For instance, Suman Sharma, president of the BJP Mahila Morcha, had sought a ticket from Sanganer or Malviya Nagar in Jaipur City, but the party didn't field her despite her closeness with former Rajasthan chief minister Vasundhara Raje. The BJP chose former cabinet minister Devi Singh Bhati's daughter-in-law Poonam Kanwar over her from Kolayat in Bikaner district. While this is another reminder that women in public service can be forced to become rubber stamps in a patriarchy, it also raises doubts over whether they can ever be independently powerful. Another example that raises doubts on the intent of parties towards bringing gender equality in politics is Shakuntala Rawat, former president of Mahila Congress who won from Alwar district's Bansur in the 2014 Lok Sabha elections. Why wasn't she made a minister despite her popularity? Local bodies in Rajasthan have 33 percent reservation for women, which has widened their participation in grassroots governance. However, bureaucracy builds a glass ceiling on that power. The 73rd constitutional amendment grants panchayats control over 29 state subjects, including primary health, electricity, sanitation and agriculture, but gram panchayats are toothless before the bureaucracy and have to keep waiting for approvals and release of funds. From Chhavi to barely-educated women in panchayats across Rajasthan, this is what deters women from assuming a greater role in state politics. "There's no check on how much time government engineers take to approve projects and finance departments to sanction funds. Sometimes, the funding comes after the monsoon, and we lose an entire year on agricultural projects," Chhavi said, explaining that for her, the drive to create a model village overrides the frustration. Shyama Devi, who has served as the pradhan of Kotkhawada village in Rajasthan's Chaksu tehsil, believes that reservation was initially only symbolic to check the quota box. But over time, it has empowered women to come forward and assert authority. An example of this is the disappearance of ghoonghat-clad women. Shyama Devi couldn't become a sarpanch herself because she is not educated, but she assists Santosh Devi, who is the village sarpanch. Both have actively promoted the Swacch Bharat Mission on the ground and say they supervised the construction of toilets in a region where the concept of a personal toilet was fairly new. Chanda Devi Sharma, the ward panch from Rampura, said that the power of the panchayat falls flat before government secretaries who reject their proposals. She also questioned why these secretaries are mostly male. Indira Kanwar, upa sarpanch from Bapu village, said secretaries prefer talking only to men in the village even when women are in power. Even if women fight battles against patriarchy and make all efforts to rise up the ladder, outsiders' assumption that this empowerment is a farce has a damaging effect on the morale of women, she said. Civil society groups in Rajasthan advocate that unless political parties trust women, nothing much will change. 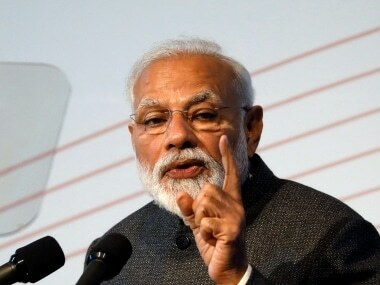 Sunita, ward panch from Nimodia village, said she wanted to work on the Narendra Modi government's policies on women and protection of children — be it the Ujjwala Yojana or the Swachh Bharat Mission — but she does not have money or connections to contest the Vidhan Sabha or Lok Sabha elections. Representatives at the Centre for Community Economics and Development Consultants Society work on the mindset of women in panchayats. 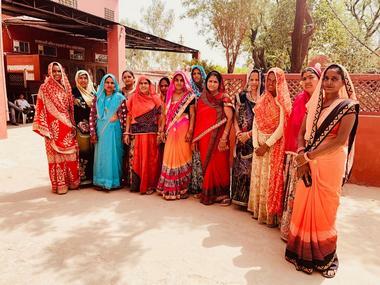 Its members in Chaksu village in West Rajasthan believe that reservation for women in the Lok Sabha election is a good idea, and both Congress and BJP should follow the examples set by the Biju Janata Dal and Trinamool Congress in fielding women for the polls. Virendra Shrimali, who runs programmes to increase women's participation in local politics for The Hunger Project, feels that after 50 percent reservation was offered to women in 2008, nearly 27 percent came to power in local bodies. "People are treating politics less as seva and more as a career. And a large contingent of women is now ready to contest on both block and district levels," he said. It isn't easy for women from non-political families to come up on their own in urban politics. Jyoti Khandelwal, former mayor of Jaipur, is contesting on a Congress ticket in the Lok Sabha election. This is the first time in the history of Independent India that a woman is contesting the parliamentary election from Jaipur. "The struggle is real. I had won the parshad elections and then become the mayor. It was a long struggle to get here," she said, adding that the Congress has field four women, while the BJP, which did not name a single woman in its second list, added two names later under pressure. Saveeta Meena, contesting from Rajasthan deputy chief minister Sachin Pilot's native Dausa, is one of the women the Congress has fielded. When asked about the issues she is focussing on, she said she is going to make efforts to spread the Congress ideology. Meena said she was still familiarising herself with the issues and had only started touring villages after her ticket was confirmed. The desert state, which battles a high maternal mortality rate and is struggling to improve its ranking in the female literacy index, must bring in more skilled and well-meaning women into public service and hand them actual power to work for change.